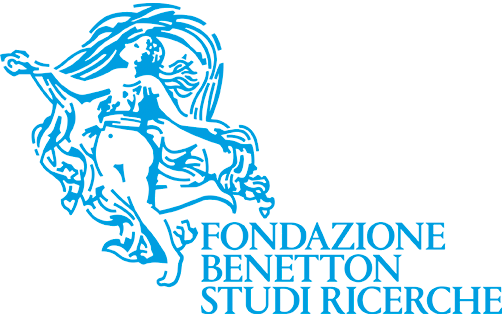 Fondazione Benetton presents in Madrid, on Thursday, November 16 at the Italian Embassy, the 28th edition of the International Carlo Scarpa Garden Prize. 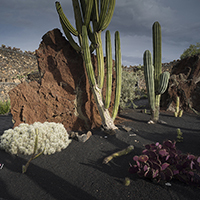 In 2017 the Prize focused on the Jardín de Cactus of Lanzarote, part of a special array of farmed quarries and craters, exemplary witness to the fertile balance between nature and culture featured by this volcanic island. Hit by countless eruptions, the island has been able to start again from scratch many times and see in the extreme life conditions – the poor soil, unceasing winds, absence of water – the very reasons for regeneration and the tools for a conscious bond with one’s environment. In particular, in the 20th century, an artist and resident of the island, César Manrique (1919-1992), was able to recognise the value of his place and implement instruments conducive to developing a social and political awareness of an environment that had been viewed as poor and devoid of attractiveness until then. 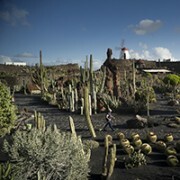 Manrique’s work pointed to a possible direction, by constructing places such as the Jardín de Cactus, which as a whole stand as the manifesto of a different way of living on the island and acknowledge its beauty. Inaugurated in 1990 in Guatiza and set among prickly pear farms, the Jardín de Cactus was laid out in an abandoned picón quarry, used as a dump, creating a concentric system of terraces and settings that house a spectacular collection of succulents. Greetings by Stefano Sannino, Italian ambassador in Madrid, and Marco Tamaro, director of Fondazione Benetton. Lecture by Juan Manuel Palerm Salazar (architect, Universidad de Las Palmas de Gran Canaria). Addresses by Pedro San Ginés Gutiérrez, president of the Cabildo of Lanzarote; Carmen Añón, honorary member of the Foundation’s Scientific Committee; Patrizia Boschiero, coordinator of the Carlo Scarpa Prize activities. The collective book Lanzarote, Jardín de Cactus. International Carlo Scarpa Garden Prize 2017, edited by Patrizia Boschiero, Luigi Latini, Juan Manuel Palerm Salazar will be presented, and the documentary with the same title made by Ziyah Gafić with the Foundation will be screened.